Full Sail Partners, a Deltek Premier Partner, announces that Kelly Duquette has joined the firm as a Principal Solutions Consultant to assist professional services firms with improving their business processes within Deltek Vision. 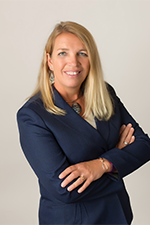 Kelly’s specialties include planning and supporting firms with migrating data during mergers and acquisitions; configuring and training of the Vision Purchasing and Asset Management modules; and building and implementing client solutions within the Vision Advanced Workflow Engine. This strategic hire expands Full Sail Partners’ consulting team presence on the east coast. With a background in accounting, Kelly has more than 25 years of experience focused around Enterprise Resource Planning (ERP) system management and implementation. She holds her Master’s Degree in Business Administration and has been both a Deltek Vision user and system administrator. Prior to joining Full Sail Partners, Kelly was Vice President and Director of ERP Systems at a large Engineering/Environmental Consulting Firm, with more than 120 offices across the US and approximately 4,200 employees. With a focus on process improvement throughout her professional career, she has managed several mergers and acquisitions and led several Deltek Vision implementations and business processes initiatives. Kelly was the leader of the Deltek Vision Large Firm User Group and a member of the Deltek Vision Power User group. She participated in the early adopter program for the Purchasing and Asset Management modules. In November, at the Deltek Insight Conference, Kelly will be presenting on the Critical Roadmap Factors for Mergers and Acquisitions and Getting Started with Deltek Vision's Approval Engine. She will be co-presenting with Ed Zanaty for Vision Purchasing - A Project Centric Approach. In the past, she has presented at numerous user group meetings.